Need an access solution for your next renovation? Can’t find a system or provider that can help? Not sure where to go next? Don’t worry, we can help. At Aluminium Access Systems, you can find the perfect scaffolding solution no matter what your requirements are. Indoor or outdoor, static or mobile, we can work with any shape and size to provide a cost-effective and quick system that lets you get the job done. 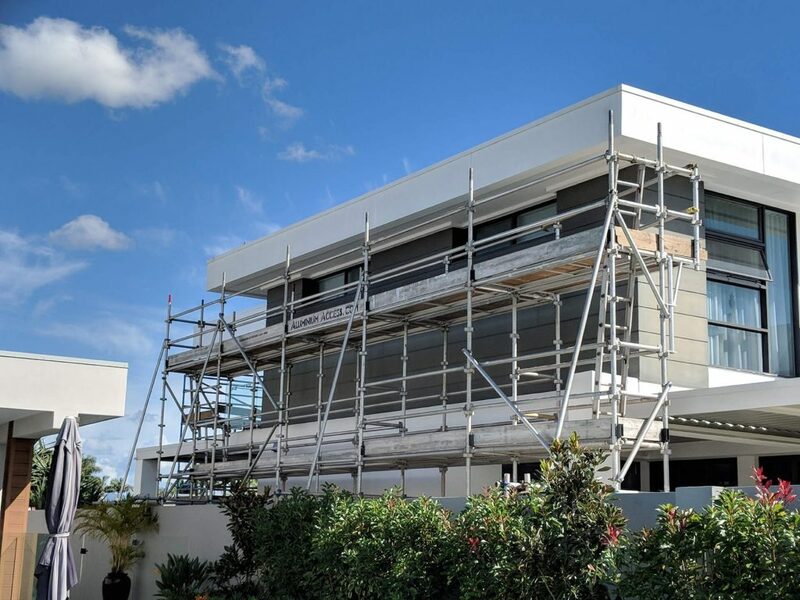 Our team will install, relocate and recover your scaffolding as required. Thanks to our lightweight constructions, this can be done quickly and without the damage commonly associated with bulkier access solutions. If you need some assistance to understand your access needs, or just want someone to provide a measure and quote, then get in touch the team that knows their stuff. When it comes to residential scaffolding hire, it’s not enough to get the equipment if you don’t have the understanding that comes with it. That’s where we come in. Not only can we get you the right scaffolding for your job, we’ll set it up and provide assistance every step of the way. With over 35 years’ experience in the scaffolding industry, our team know how to get the job done. Even the simplest looking projects can come unstuck when an awkward access point appears and highlighting these early is important. Let an expert assess your job beforehand and provide an accurate quote to ensure there are no headaches further down the line. We approach every job with the same focus: get the job done quickly and get it done right. Our installers are highly skilled professionals that know what they’re doing, getting in and out quickly to minimise the downtime to your work. We believe in working our hardest to achieving our agreed schedules, avoiding inconvenient and costly delays. If you’re looking for a committed team of experts then just pick up the phone and give us call.